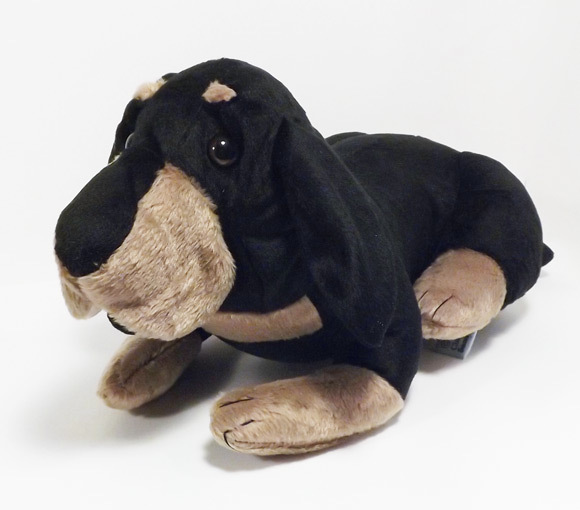 I recently completed a custom order of creating a bloodhound dog plush that resembles the owner's dog. 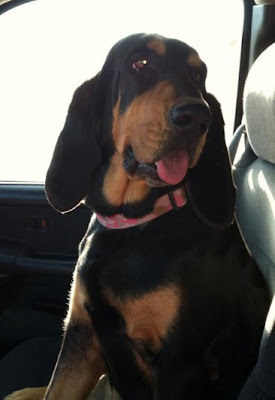 My original design is based on my dad's bloodhound Nina, she's a black and tan bloodhound that has a distinct saddle. This dog, Ellie, is also considered a black and tan even though she has much more black covering her body with just little bits of caramel-y tan markings. So I removed the saddle detail from the pattern and added some other color blocking to make it look more like Ellie. It was also requested to scale up the size from my original which is 12.5 inches long to 16 inches long. Once I complete a pattern, I typically don't make a lot of different size variations even though it's very easy to scale the pattern. 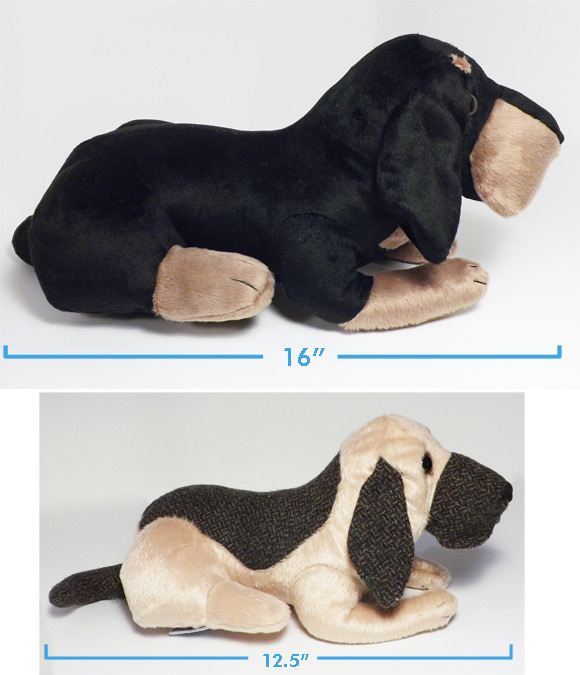 Since I'd previously only made one size of the bloodhound plush it was fun to see it a bit larger. I'll have to experiment more with changing up the scale of my toys.